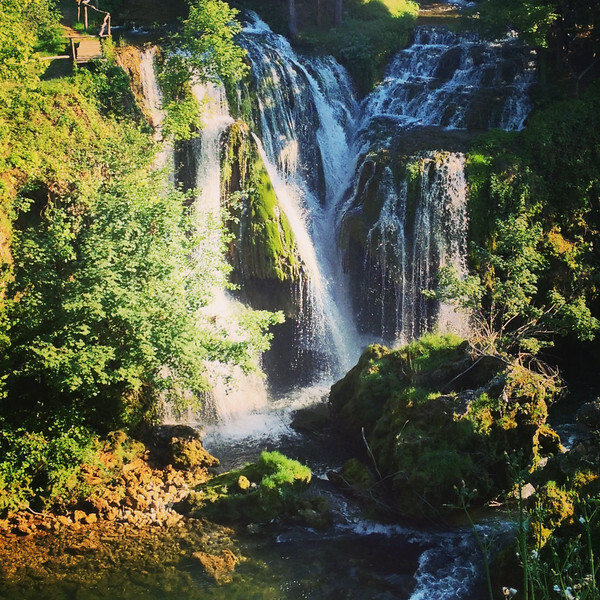 If you are travelling to Plitvice National Park on the road from Zagreb to Split, you will first come across Rastoke, the center of the municipality of Slunj. 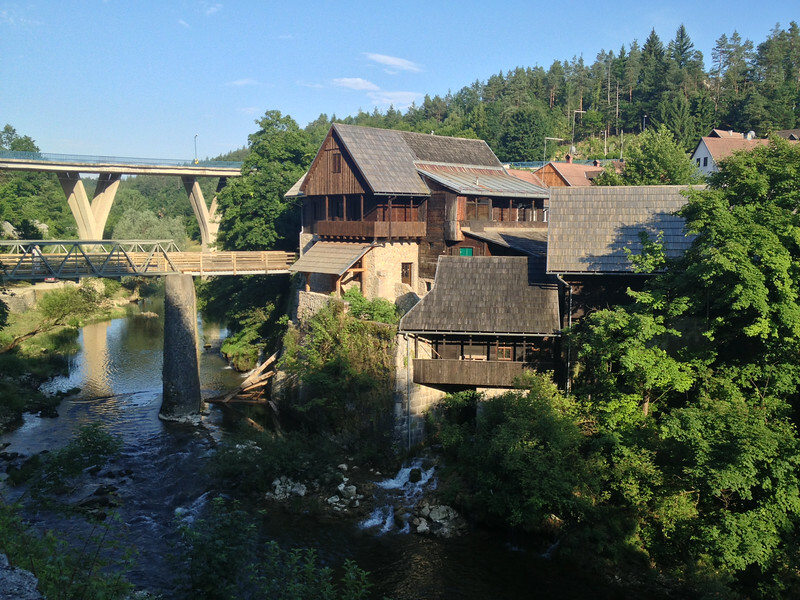 It is here that the Slunjčica river flows into the Korana river, creating dozens of waterfalls along the way. This area is sometimes called “the Small Lakes of Plitvice” but unlike its larger neighbor, this site is free to enjoy. Vilina kosa (Fairy’s Hair) Waterfall in Rastoke, Croatia. Local legend claims that the fairies would wash their laundry in this waterfall. These silver-haired fairies had a mischievous side as well, as they were also known to steal the horses of the millers and travellers and ride them through the night. In the morning, the horses would be found back in the paddock with braided manes. 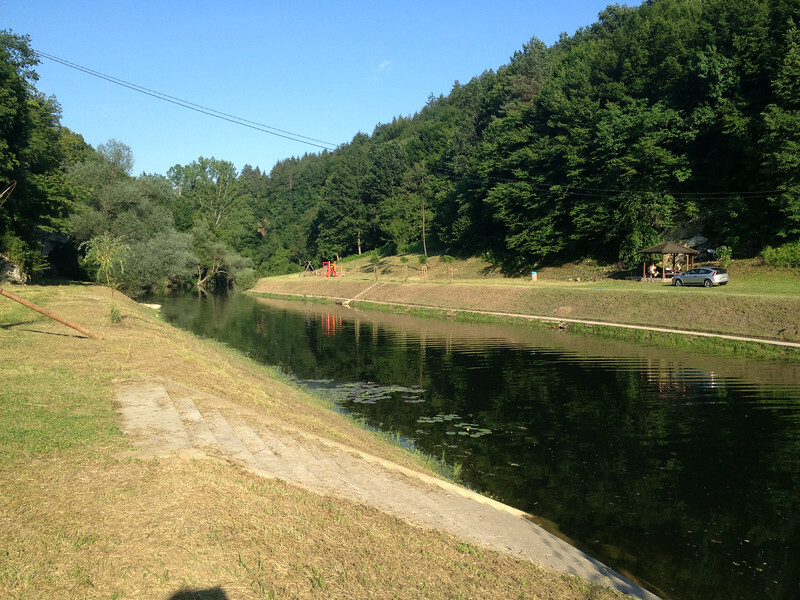 Just on the other side of the concrete bridge on the main road, there is a swimming area. Steps lead down into the water on both sides of the river. There are also pavilions for picnics and a small playground for children.